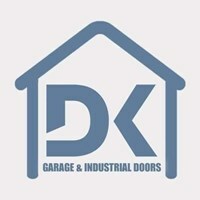 DK Garage & Industrial Door Services Ltd - Garage Doors based in West Bromwich, West Midlands. We are a small Family run business with over 15 years experience in garage doors. Covering the whole of the West Midlands. From start to finish you will deal personally with one individual, providing you with a one to one service. We offer everything from repairs to replacements, On average 6/10 garage doors can be repaired. Our FREE survey includes surveying repairs, offering a no fix no fee service, which we believe sets us aside from the rest. Our range of products & services are a cut above the rest. Garage doors: up and over, side hinged, insulated sectional garage doors, insulated Roller doors. All industrial style doors catered for. Front doors: From Upvc to composite. Birmingham, Halesowen, Wednesbury, Lichfield, West Bromwich, West Midlands. Worcester, Dudley, Smethwick, Great Barr and many more.